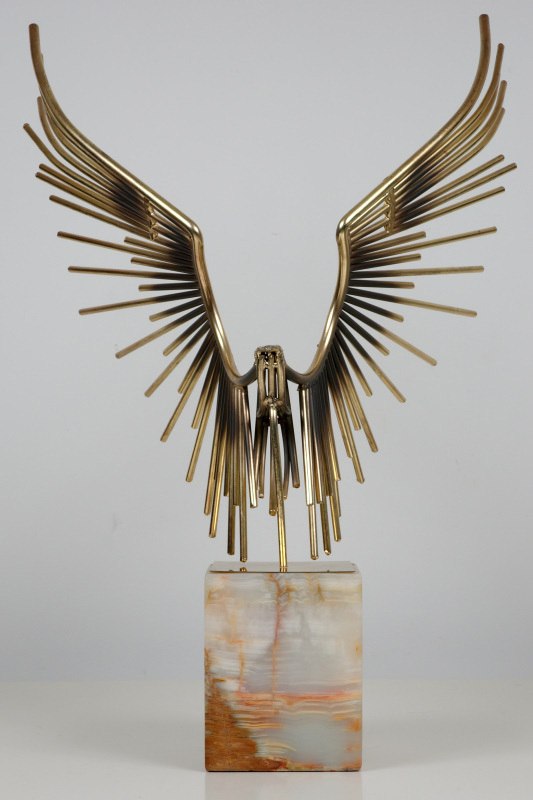 Signed 1977 Jere abstract bird of prey sculpture. Abstract sculpture comprised of welded thick brass rods on a marble base. One of a series in this style - convenient but still large table top version.